Heliatek Receives Renewable Energy Design Award 2015 - The Independent Global Source for the Flexible and Printed Electronics Industry. 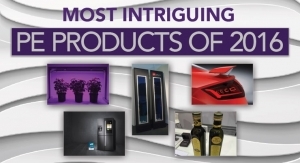 HeliaFilm was recognized at the Elektra European Electronics Industry Awards in London. At the Elektra European Electronics Industry Awards ceremony in London, Heliatek received the Renewable Energy Design Award 2015. The German start-up, based in Dresden and Ulm, develops and produces HeliaFilm, an organic solar film. The prize recognizes the international successes of Heliatek as a clean energy producing film supplier. “We are delighted to receive this Elektra award. It supports our vision of a decentralized and decarbonized energy supply. It also encourages us to continue to enhance our HeliaFilm technology as a clean and green source of energy,” said Thibaud Le Séguillon, CEO of Heliatek GmbH. The organizers commented that Heliatek’s technology has achieved a record of 12% efficiency for organic photovoltaics and is now being commercialized for large area applications. The judges noted that Heliatek is partnering with industrial glass and building materials companies to speed the adoption of its technology in sustainable, net-zero energy buildings, which included glass installations in the Belgium pavilion at Expo Milano 2015. 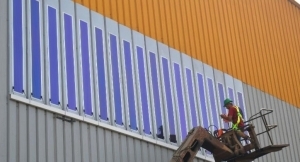 HeliaFilm, a flexible, organic solar film, is currently deployed in pilot installations in Japan, Germany, Italy, China, the US and Singapore. Together with its strategic partners, Heliatek is working on the integration of HeliaFilm into different building materials such as glass, concrete, steel, aluminum and membranes. These products target building integrated photovoltaics (BIPV) such as building facades, as well as the automotive industry.